Here’s a question that sounds a lot more theoretical than it really is: When is a tree not a tree? 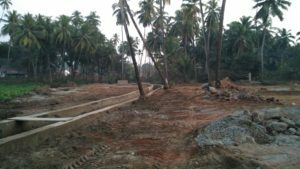 The short answer: When it’s a coconut palm in the Indian state of Goa. In December 2015, the state government kicked the coconut palm off its master list of trees. Earlier this week, two conservation groups sued the state to reverse that decision. To understand the case, we have to go back in time to 1984, when Goa passed a law to imprison anyone who cut down trees covering more than about five acres in one year. To fell more trees, even in a private garden, you need permission from the state forest department. and you can read about it, too.